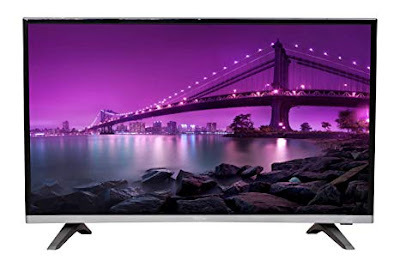 Aisen has introduced its 65 inch 4K UHD LED Smart TV, ‘A65UDS980’. The 4K picture with UHD Display offers a true life picture quality with a screen resolution of 3840 X 2160 with High Dynamic range and Wide Viewing angle (178-degree design). With inbuilt 16W Dolby sound, The Smart TV comes with the E-Share App, which enables users to connect and enjoy any content. Engineered with 1.5Ghz Quad Core processor, integrated with 2GB RAM + 16GB ROM, The Smart TV comes with several connectivity options such as 4X USB port, an AV input, and 3X distinct HDMI ports to not just pair external devices but also wirelessly share data, said the company in a statement. High in energy efficiency and supporting the Power saving mode, the TV automatically fine-tunes the backlight and brightness, the company said. The product with a 3-year warranty is already available with several retail and ecommerce stores across India. Aisen ‘Smart TV’ comes at a price of Rs 79,990.